This item is a baby tie-up shoe, which is made of high quality wood. It is a colourful cute shoe for chidren to learn how to lace, it also helps develop hand-eye coordination and imagination. - Size: 6.8 x 3.5 x11cm. - Wooden shoe with lace to practice tying ( Price For One Single ). 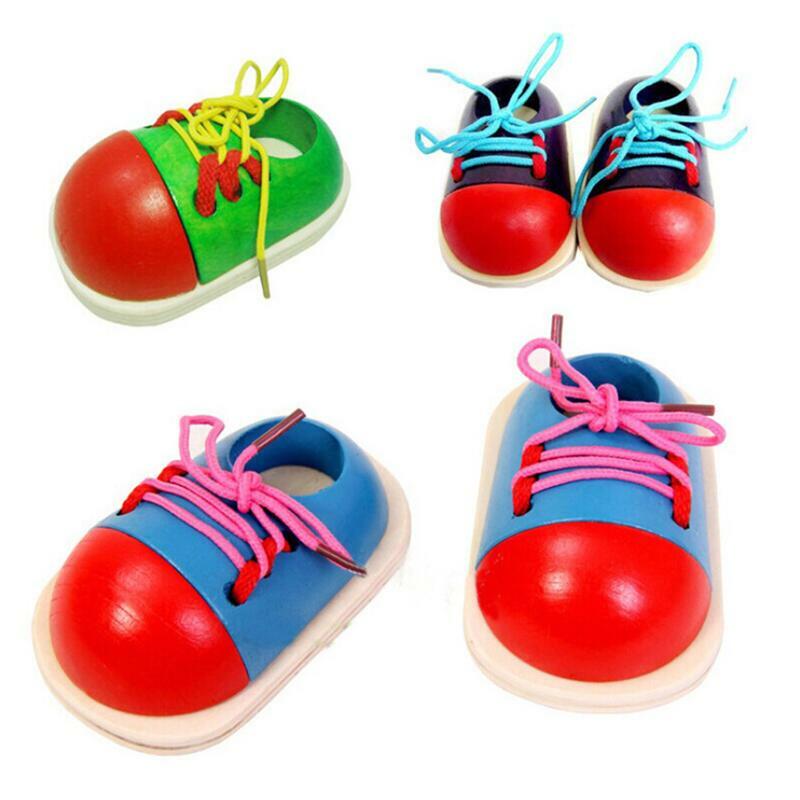 - Colourful cute shoe for teaching children to tie up laces. - Helps develop hand-eye coordination and imagination. - For ages 3 years +.